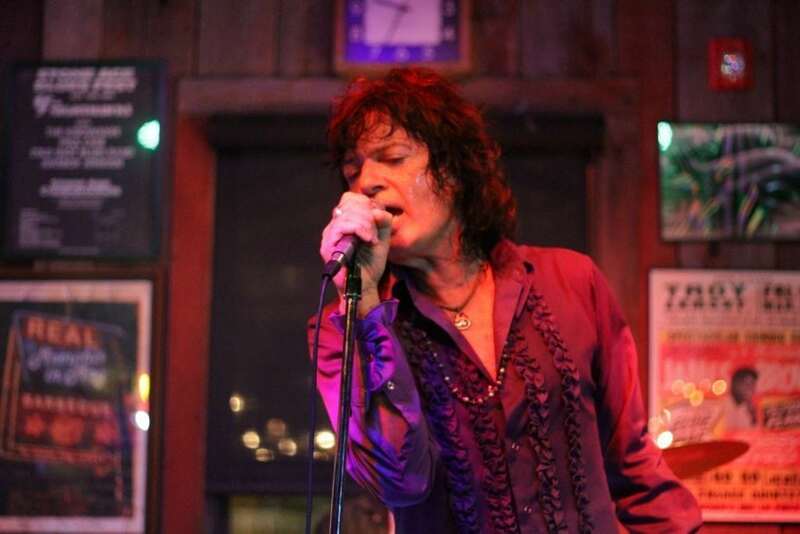 If you were in the mood to rock out to Classic Rock and British Invasion tunes from The Beatles, Rolling Stones and Led Zeppelin, the Dinosaur Bar-B-Que in Troy was the place to be this past Friday, Sept. 22 as Blue Machine made their return back to the venue. This was the first public appearance for the band since last December. The band’s return not only brought in a packed house, the performance was also entertaining, fun and it was a great night for their fans as they rock and rolled in the City of Troy. Blue Machine, featuring Kenny Hohman (guitar/vocals), Joe Daley (drums), and Lori Friday (bass/vocals) and front man Tommy Love (vocals/harmonica), have been bringing their own take on many popular Classic Rock and British Invasion tunes for over 10 years throughout the Capital District and New England. For over 21 years, Hohman, Daley and Friday perform as an international and local power trio called Super 400. 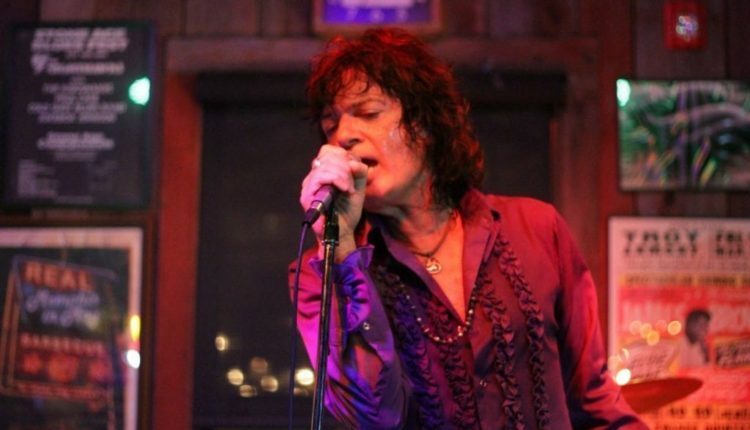 Love, who at times can sing and sound like various performers such as Robert Plant, Mick Jagger and Jim Morrison, is also a lead vocalist in another local group, Blue Hand Luke. Blue Machine performed hit songs throughout the evening, starting with “Come Together” (The Beatles), followed by “Heart Full of Soul” (The Yardbirds), “Set Me Free” (The Kinks), “Badge” (Cream), “Tell Her No” (The Zombies), “Jumping Jack Flash” (The Rolling Stones), “Strange Brew” (Cream), “Born Under A Bad Sign” (Cream), “Can’t You Hear Me Knocking” (The Rolling Stones) and “Happy” (The Rolling Stones), among other tunes. “We’re going to give you some trippy music,” Love called out to the fans after the band had finished performing “Happy.” Love was making a reference to their next song, “Riders of the Storm” (The Doors) as Hohman began to play the memorable chords of the tune on the guitar. The Doors’ other hit, “Roadhouse Blues,” followed suit. From The Doors came The Allman Brothers Band. The band dedicated “One Way Out” and “Whipping Post” to the late Gregg Allman. Watching the band sing and jam out to these two tunes from The Allman Brothers was captivating, magical and entertaining. As Love sang his verses to these songs, the instrumental jam session began in full force. One moment, Hohman would play a soaring guitar solo, Daley would begin soloing on the drums, then Friday would begin her solo routine to Daley’s toned down drum taps for a given moment. As her solo ended, Hohman and Love reunited with the group to continue to perform their song(s) until it ended. The band, being as connected and passionate to these songs as they are, helped make these classic songs come to life. Closing out the first set, and then with a following encore performance, was the anticipated Led Zeppelin tribute. The tribute started out with a cover of “What Is and What Should Never Be” (Led Zeppelin II) followed by “Black Dog” (Mothership), “I Can’t Quit You Baby” (Led Zeppelin) and “Thank You” (Led Zeppelin II). Closing out their encore performance with Love on lead harmonica and vocals, Love belted out the lyrics to “Bring It on Home” (Led Zeppelin II). The end of the encore left Blue Machine fans happy and satisfied to know that rock and roll is here to stay in the Capital District. Like Blue Machine on Facebook to stay updated on where the band will perform next. Also, check out Dinosaur BBQ’s website to stay informed on the local acts that will be performing in the area. Amy Modesti is one of Capital Region’s up-and-coming emerging artists. Specializing in visual art, photography, music (focusing on piano and some drums), journalism, and videography, she is dedicated to sharing her talents and her knowledge of what is happening in the Capital Region and other surrounding areas to Greater Nippertown and beyond. Some of Modesti’s photography, concert reviews, and other news stories can be seen both online and in newsprint in various productions including “The Spot 518”, “The Eastwick Press”, “Nippertown”, “NYS Music”, among other publications and printed material. An avid music fan, Amy can often be seen sharing what is happening in the Capital Region at various music venues and other community events through sharing and live streaming events on Facebook and through her photography work.